In case you haven’t heard, Kara Danvers’ world is about to be turned upside down. The news recently broke that Supergirl will soon find itself strapped into a rocket and blasted from CBS to The CW. With that arduous journey comes some serious changes. Although we don’t know exactly what changes will occur with the upcoming transition, we do know that we will likely be seeing less of some fan favorite characters as the show moves forward on a new network. With that in mind, it seems that the amount of Calista Flockhart we get on a weekly basis could soon change in a dramatic fashion. According to a new report from Comicbook.com, it seems that Calista Flockhart’s character Cat Grant could play a reduced role on the second season of Supergirl when the show debuts on The CW next season. This primarily stems from the fact that the show’s production will move to Vancouver from Hollywood, and Flockhart herself is based out of Los Angeles. She’s a central part of the current series ensemble, and talks between the actress and the network are reportedly ongoing. No official deal between the actress and The CW has been announced yet, but representatives from the network have come out and vocalized their willingness to bring her on board for whatever capacity she’s willing to take. Cat Grant has become one of the most unexpectedly popular characters of Supergirl’s first season. Calista Flockhart’s portrayal of the character has taken on a life of its own, taking her from a simple Superman love interest in the comic books to DC's bona fide version of Meryl Streep’s Miranda Priestly from The Devil Wears Prada . Her character has played a major part in the immense success of the series, and The CW would be wise to make whatever concessions seem necessary in order to keep her around for the foreseeable future. Only time will tell how involved Calista Flockhart remains with Supergirl going forward. 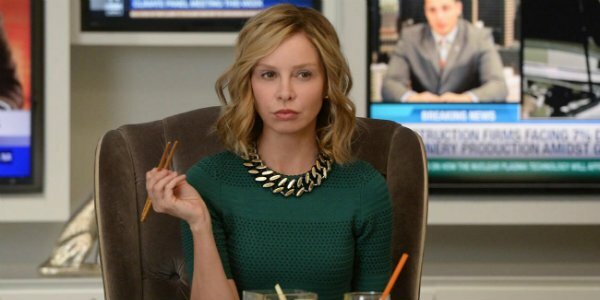 We love Cat Grant, and we hope the actress comes to an agreement with The CW very soon so that the sass keeps flowing. Supergirl will round out The CW’s comic book lineup on Monday nights this fall.